You might have heard that Washington's marijuana law has changed. Want to know a little more? In an earlier post, we linked to the Congressional Research Service Report, State Legalization of Recreational Marijuana: Selected Legal Issues (April 5, 2013). The link is still good, but the report was updated in January 2014: all the better! Harvard Med School professor Jerome Groopman reviews a new book on the topic (along with some of the research about marijuana's benefits and risks) in Marijuana: The High and the Low, N.Y. Rev. of Books, Feb. 20, 2014. 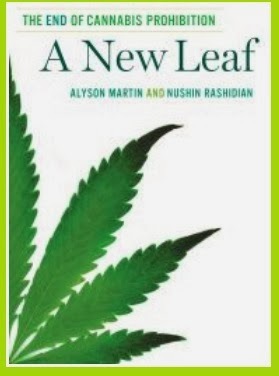 The book, A New Leaf: The End of Cannabis Prohibition, is available through the University Libraries, in print and as an e-book. How can marijuana be legal here when it's illegal under federal law? See Joint statement from Gov. Inslee and AG Ferguson regarding update from AG Eric Holder on implementation of Washington’s voter-approved marijuana law, Aug. 29, 2013, and DOJ's Guidance Regarding Marijuana Enforcement, Aug. 29, 2013. Can banks do business with marijuana businesses? See Dep't Treas., Financial Crimes Enforcement Network, BSA Expectations Regarding Marijuana-Related Businesses, Feb. 14, 2014, and DOJ's Guidance Regarding Marijuana Related Financial Crimes, Feb. 14, 2014 (includes a joint statement by the U.S. Attorneys for the Eastern and Western Districts of Washington).